I am a late bloomer in watching “Ghost in the Shell”. I just recently watched“Ghost in the Shell: Stand Alone Complex” and “Ghost in the Shell: Arise” anime series. So, I am a new fan and loved the whole premise from start to finish. Apart from exposing myself to new anime, I watched GITS because Marc wanted us to do a couple cosplay of Motoko and Batou. 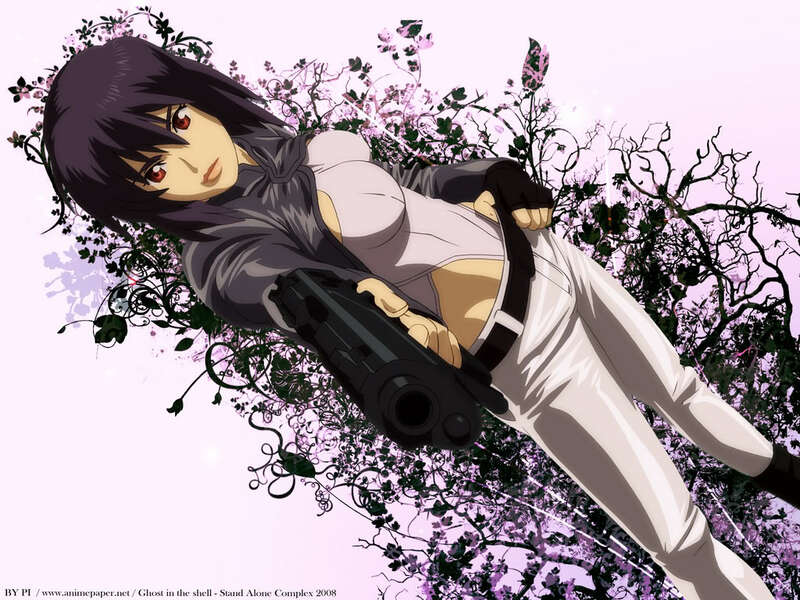 I was also looking for a badass female character that uses guns as their weapons and Marc suggested Motoko. Just like any character that I cosplay, I watched GITS to know Major Motoko Kusanagi, so I can cosplay her well. Throughout the series, I became intrigued and fascinated by the storyline. Motoko also became one of my favorite badass female characters because of her fighting abilities, independence, and for being a great leader to her team. She became one of my role models, which is why I cosplayed her two versions. When I heard that GITS is going to have a live-action movie adaptation, of course I became excited. 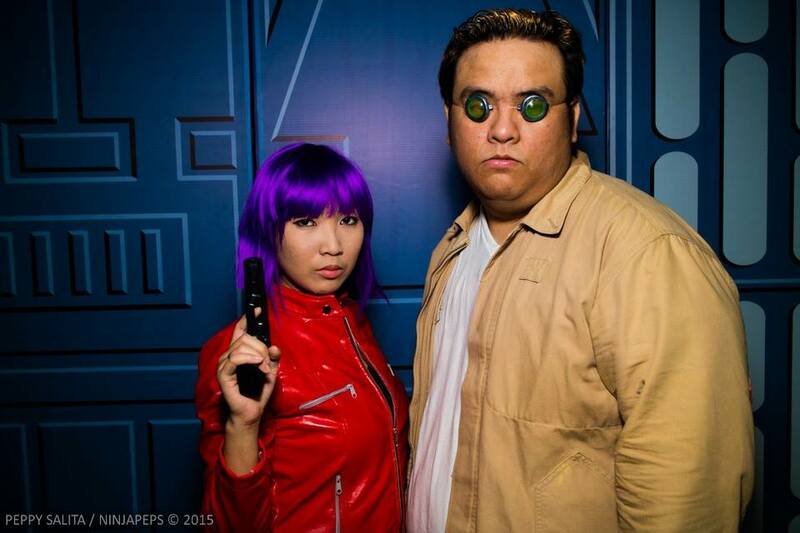 I would love to see Motoko, Batou, and the rest of Section 9 in the flesh. And since this is a Japanese anime, I expected the actors and actresses to be Asians. After all, there are a lot of talented actors who can play Motoko well. But, well, Hollywood got the rights of GITS. And just as expected, they didn’t pick an Asian actress to play Motoko. Instead, they picked Scarlett Johansson. I have nothing against ScarJo because she’s really talented. But my first reaction is just like everyone else: why did they cast a white actress? Many fans were furious about it and I was one of them. 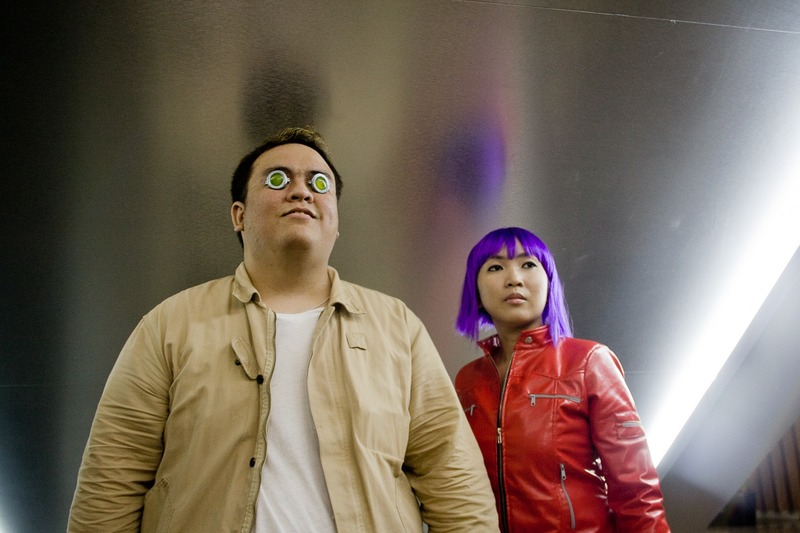 I am a fresh fan of GITS, so I believed that an Asian actress should play Motoko. Because it is a Japanese anime. And the setting is Tokyo. And all the characters are Japanese. 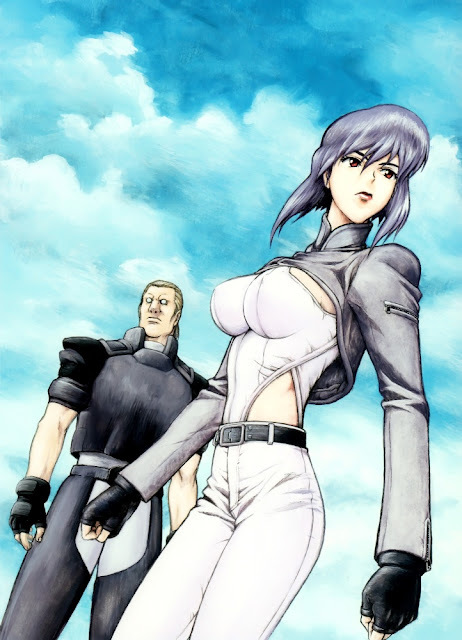 For a long time, I harbored ill feelings because I can’t believe they whitewashed Major Motoko Kusanagi. In fact, I still do. 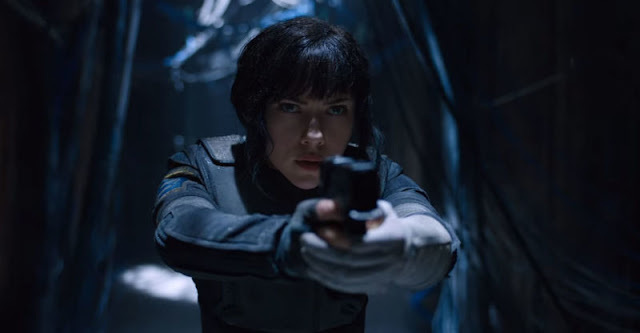 I find it rather insulting that they got a Caucasian actress to be Motoko when she is Japanese. As if that wasn’t enough, they removed her whole name and changed it to just “The Major”! Even if Marc was convincing me that Motoko is a cyborg and she can have any type of body she wants (not necessarily Japanese), I still can’t accept ScarJo as Motoko. For the past months, Dreamworks and Paramount Pictures came out with 5-6 teasers leading to the first ever trailer. They showed snippets of the movie, with the latest showing ScarJo as Motoko in her camouflage suit, beating up a guy and the city as her background. I won’t go over the teasers, but I have to admit that the visuals were good. My favorite is the last teaser because it was reminiscent of one of the scenes in the 1995 GITS movie. While there are Asian actors in the cast, I still feel really bad about the casting of ScarJo. At this time, I was 70-30, with 70 as not liking the new movie. Then the new trailer came out and the teasers suddenly made sense. Okay, I hate to admit it: after seeing that trailer, I was left speechless and impressed. I guess harboring ill feelings towards the new movie helped because I definitely lowered my expectations from the start. I was expecting it to be really bad, but it turned out to be actually good. The visuals were just right---not too dark, not too light---but it was enough to set the tone for the upcoming movie. The trailer also (finally!) showed a few members of the section 9, specifically Batou and Chief Aramaki. I still didn’t see Togusa, Ishikawa, Borma, Pazu, Saito, and the others. I hope they appear in future trailers before the movie comes out. The action scenes were good. But I still can’t conclude for now because, of course, the trailer still doesn’t tell a lot about the movie. 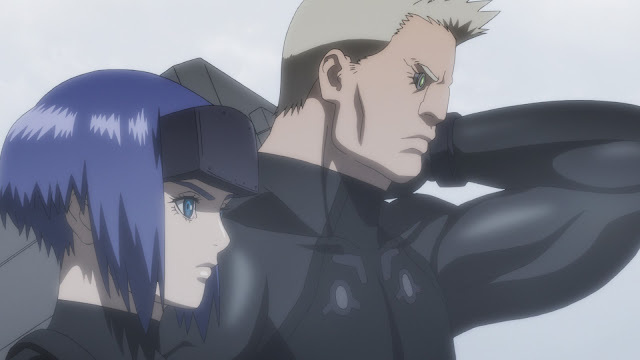 Though I think they’re going the backstory route because there was a video shown about how Motoko became a cyborg. 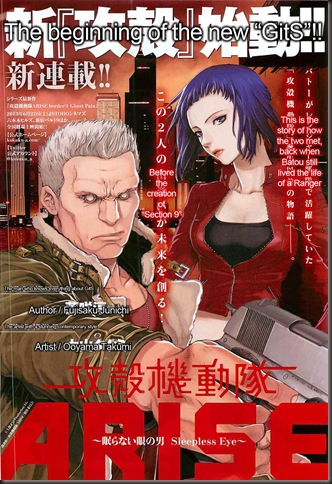 I also saw a glimpse of ScarJo in red outfit, which reminds me of the “Ghost in the Shell: Arise” series. Not sure if they’re going to do the past, present, and future Motoko versions of the anime, but this might be one of the reasons why I’ll watch the movie. Based on what Marc told me and what I’ve read, some of the scenes in the movie were similar from the 1995 movie. I don’t know with the others, but I think this is a big plus for me because it can mean they might stay true to the anime. However, I also think it’s too early to tell because we’re just seeing the first trailer. There’s even no movie poster yet. I do hope they come up with character posters featuring the members of Section 9. One of the things I didn’t like in the trailer is that they didn’t show one of the fan favorites: the Tachikomas. For those who don’t know, a Tachikoma “is a fictional artificial intelligence, walker/roller, with nine of them are assigned to Section 9. They are spider-like, multi-legged combat vehicles, equipped with artificial intelligence” (Wikipedia). Apart from Motoko, the Tachikoma was my favorite in the anime series. It is one of the things I’m looking forward on the live-action movie adaptation. Not seeing them in the trailer made me nervous because there is a possibility that they won’t include it in the movie. But again, it’s too early to tell. 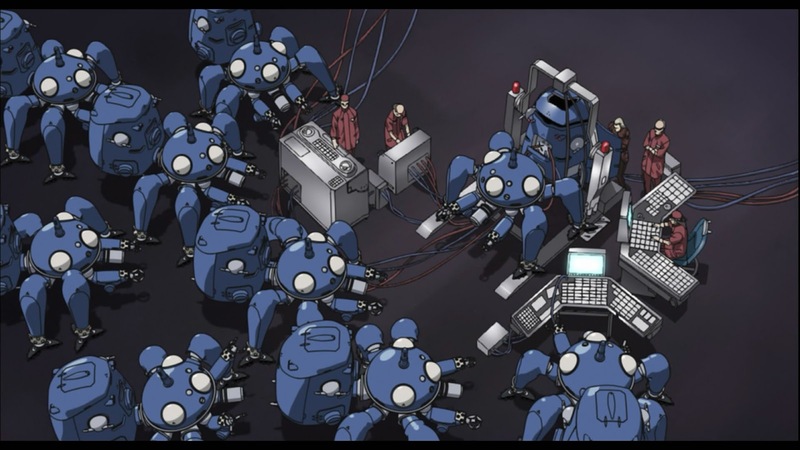 I do hope I am wrong because a “Ghost in the Shell” movie is not complete without the Tachikomas. They are very valuable to the Public Security Section 9 and even add positivity and lightness to the darkness of the series. Overall, I can say that the trailer #1 was good and left me a bit impressed. A featurette was also released, which showed the 1995 anime director, Mamoru Oshii visiting the set and liking what he saw. However, it’s still not enough for me to fully convert and like the movie as a whole. Even if I am now 50-50 about it, there’s still a part of me that doesn’t trust Hollywood in adapting “Ghost in the Shell”. Blame it on “Dragonball” and “Speed Racer”, which are the worst live-action adaptations that Hollywood did. Like, really bad. About the casting, I am also 50-50 on that because ScarJo is a great actress and I think she can portray Motoko. However, I’m still not fully onboard with it. Maybe, I need to see a few more scenes of her as Motoko---or play the trailer a few more times. Despite that, I am excited to see the “Ghost in the Shell” movie. I am curious of the final result. Thus, I will lower my expectations to avoid disappointment. 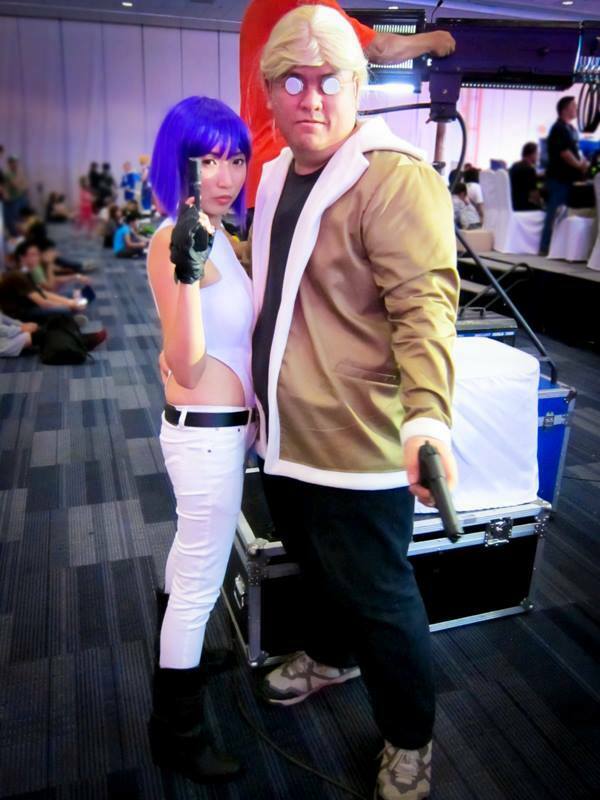 Marc even told me that I can wear my Motoko cosplay when the movie comes out---and maybe I will. In the end, I am still a big fan of “Ghost in the Shell”. I’ll still watch the live-action movie and see for myself if they indeed gave justice to the iconic anime. Have you seen first trailer of “Ghost in the Shell” starring Scarlett Johansson? What are your thoughts about it? Let me know about it in the comments section below. You can also reach me via Facebook, Twitter, and Instagram.